Disclosure: I will be receiving the same prize pack shown below as a thank you for hosting this giveaway. No monetary compensation was received. Growing up, I loved to read. One of the books that I loved to read was “Alexander and the Terrible, Horrible, No Good, Very Bad Day,” which was written by Judith Viorst. I liked the book because it was about things going wrong, and it was funny. I would read this book to my little brother before bed and we laughed so hard it took us forever to get to sleep. I was thrilled to learn that the book was becoming a movie, and I cannot wait to see it. 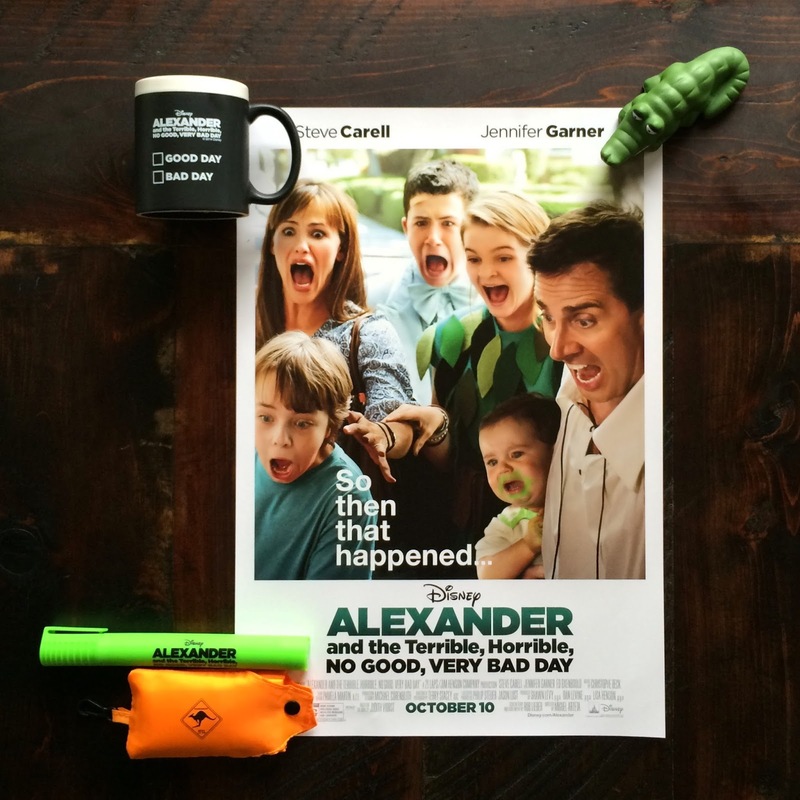 Alexander and the Terrible, Horrible, No Good, Very Bad Day will be in theaters on October 10th. 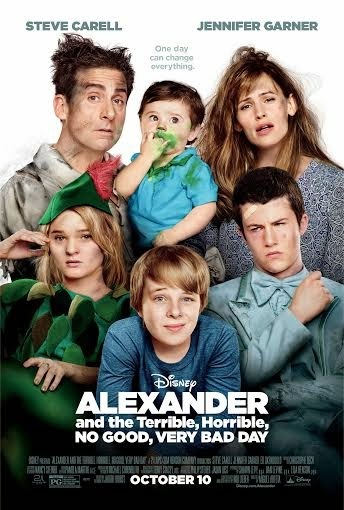 Disney’s “Alexander and the Terrible, Horrible, No Good, Very Bad Day” follows the exploits of 11-year-old Alexander(Ed Oxenbould) as he experiences the most terrible and horrible day of his young life—a day that begins with gum stuck in his hair, followed by one calamity after another. But when Alexander tells his upbeat family about the misadventures of his disastrous day, he finds little sympathy and begins to wonder if bad things only happen to him. He soon learns that he’s not alone when his mom (Jennifer Garner), dad (Steve Carell), brother (Dylan Minnette) and sister (Kerris Dorsey) all find themselves living through their own terrible, horrible, no good, very bad day. Anyone who says there is no such thing as a bad day just hasn't had one. I believe I did read the book as a kid. I would like to watch this movie in the cinema if possible. I don't remember reading the book as a child but would enjoy the movie for sure. I have heard of this but i never read it as a kid. we do not plan on seeing it in theatres but would definitely see it after. I did read the book as a kid & loved it! I will probably wait until it comes out on DVD to watch it. I'm not a huge fan of movie theaters. Yes, we can't wait to see it! I don't recall reading the book when I was younger though. I am planning to see the movie. I didn't read the book. I am taking my kids to see it. I didn't read the book, but my eldest daughter did. We definitely want to see this one! I am going to see this with my family. I read the book as a kid. This used to be one of my favorite books and I can't wait to see the movie!